Home > Blog > Prepare your Homemade Wax for a Baby Skin Result! Prepare your Homemade Wax for a Baby Skin Result! Wouldn’t be great to wax all the parties of your body you want by yourself at home. Legs, arms, or eyebrows this method is easy and avoid you many efforts and expenses. All you need is a pan, sugar, water a, and lemon juice. I tried this home wax last weekend with my friend and i was super satisfied, the result is much better the traditional waxing and no skin reaction result noticed. Enjoy a baby skin and don’t forget to share! Do you know what Dry Skin Brushings do to your body? 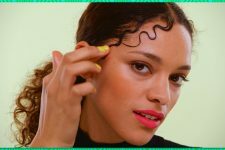 Mind Blowing Hacks to Slay your Short Baby Hair!